The Los Angeles and Southern California defense firm of Michael Kraut and the Kraut Law Group knows when a client is involved in the legitimate use of marijuana, and knows when police falsely accuse a person of a medical marijuana crime. The Kraut Law Group does not assist people who are looking to open a clinic. Mr. Kraut handles criminal defense for those accused of crimes surrounding marijuana and medical marijuana crimes. Under Proposition 215, patients who are under the care of a doctor and posses a valid prescription for marijuana may posses and cultivate marijuana for their personal consumption. Health and Safety Code 11362.5 codifies Proposition 215. This code states the number of plants that can be cultivated pursuant to this section. 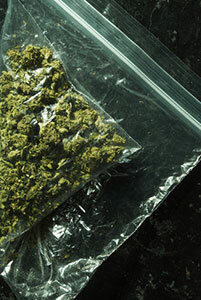 This marijuana may not be sold or furnished to another person who does not have his or her own written prescription. Medical marijuana may be approved for many health conditions. The Attorney General for the state of California recently came out with new guidelines to assist caregivers in knowing what they can and cannot do in terms of this section of the code. It is also unlawful for someone to drive under the influence of marijuana even if the driver has a medical marijuana justification for the possession of marijuana (it is considered a DUI). Vehicle Code 23152(a). "Under the influence" is not specifically defined in the statute, but is interpreted to imply some degree of impairment. Therefore, the prosecution does not have to show that a person had a specific amount of marijuana in his or her system, just that they were driving under the influence of the marijuana. The arresting officer may choose to administer field sobriety tests (FSTs), or the officer may attempt to have the individual provide a sample for chemical analysis. This could be blood or urine. Pursuant to Vehicle Code Section 23612, a person is required to comply with the request. Marijuana stays in the system significantly longer than alcohol or other drugs. If you have been charged with a medical marijuana offense in Los Angeles, Riverside, San Bernardino, or Orange County, it is important that you seek the services of a criminal defense attorney with extensive experience on medical marijuana cases. If you have been arrested for a medical marijuana cases there are many viable defenses and you should immediately hire a Los Angeles or Southern California area, call Michael Kraut. Mr. Kraut understands the serious nature of this offense, how best to defend you, and how to resolve your case without you going to jail. Mr. Kraut has extensive knowledge of the law and the legal system. He has developed excellent relationships with law enforcement and law officials throughout the Los Angeles and Southern California. For more information about the various ways to handle a medical marijuana case, and to schedule your free consultation, contact Michael Kraut at the Kraut Law Group. Mr. Kraut can be reached 24/7 at 888-334-6344 or 323-464-6453.